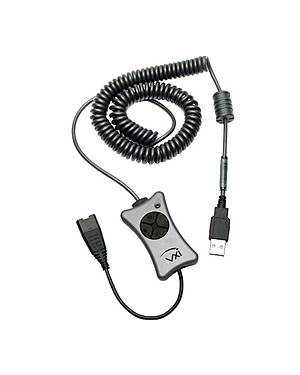 The VXi X200-V USB Adapter is a communication tool for unified communication, allowing users to easily convert the quick-disconnect-enabled phone headset to USB headset-enabled in order to cater to Unified Communication environment and the like. 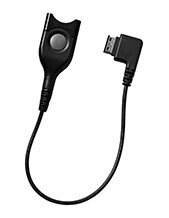 VXi X200-V USB Adapter is ideal for users in need of high voice quality, which is why this tool is perfect to be connected to professional headsets with excellent audio performance. The combination of softphones incredible functionalities to the features of the headset and this adapter can beat the traditional phone system used today. Purchase this USB adapter today! Call Headsetsonline at Australia wide 1300 131 133 to learn how! 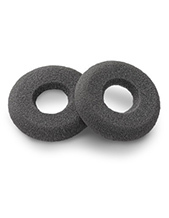 Established in 1869 and headquartered in Copenhagen, Denmark, Jabra Corporation is a popular well-established global company that has become a standard of excellent audio quality in the international market. Operating under the banner “Sound that’s engineered for you”, the company aims to enhance people’s lives, both in the personal and professional aspects. Jabra brings about products and solutions that can provide better experience to customers of all types. The company is one of the pioneers of communication solutions and the major developer of ear-radios and ear-microphones in the industry. It is also popular for introducing incredible technologies, including HD Voice technology, noise cancellation technology, and other technologies that can boost the audio performance of products and solutions. Jabra delivers products and solutions that empower users and cater to their audio needs. It specialises in audio, calls, headphones, headsets, speakers, speakerphones, wireless, true wireless, and Bluetooth, which the company has integrated in the products and solutions. Headsetsonline Pty Ltd is a company that sprung from being a new division of a popular company that has been in operation in the industry since the year 1998. This company is said to be responsible for providing to the needs of corporate and government sectors all over Australia. Headsetsonline is popular for its large product portfolio that is comprised of products and solutions sourced from reliable Australian distributors, which then ensured that the entire product offers from the company are Australian standards certified. More than this, it also ensures that all warranties that came with these products are covered all over Australia. 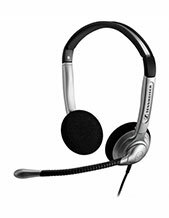 Headsetsonline delivers ordered and purchased products all over Australia, with only flat shipping rates. The company has gained the trust of its customers for decades precisely because the company do not have hidden charges and other fees that come with its deliveries. Find out more about the company by visiting Headsetsonline.com.au.